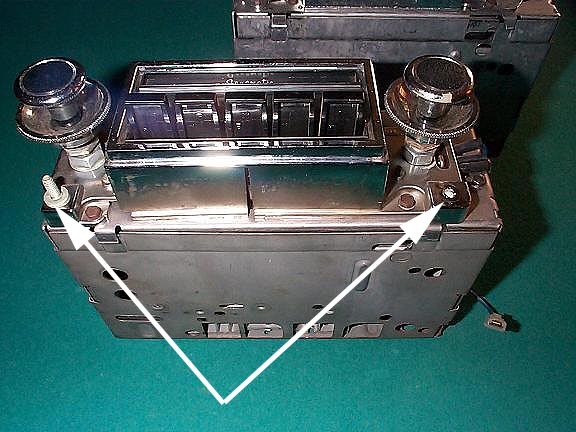 Late in the 1968 model year, Delco Radio adopted a standard coding system for GM radios which made it very simple to identify exactly what a radio is by features, make, and model year. 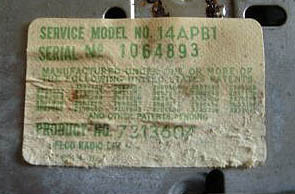 By using the coding information below, the label belongs to a 71 Skylark AM pushbutton radio. 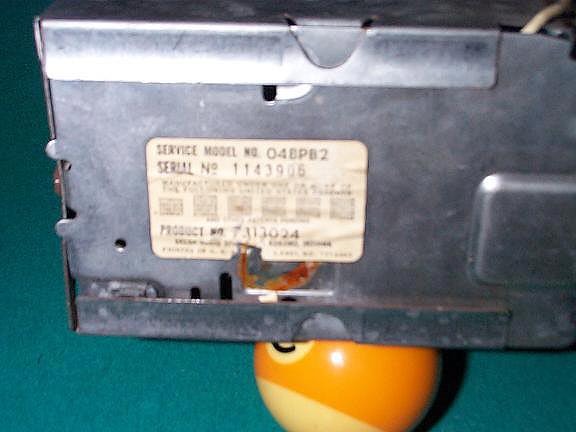 By using the coding information below, the label belongs to a 70 full size Buick AM pushbutton radio. Notice the third character is B for full size models. 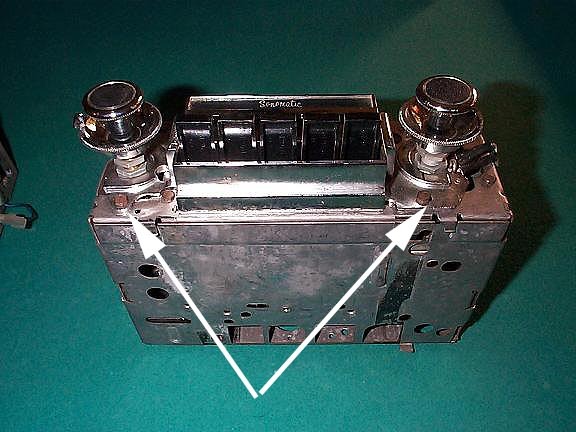 This is a Skylark radio and the arrows point to the mounting studs. The right side mounting stud is missing in this pic. Here is a full size radio. Notice there are no mounting studs where the arrows are pointing. The first digit is the model year of the radio 8=1968, 9=1969, 0=1970, 1=1971, 2=1972 3=1973, 4=1974, 5=1975. B - Fullsized model: Bonneville etc. C - More than full sized: Cadillac Fleetwood. F - Pony car: Firebird etc. G - Grand Prix etc. H - Subcompact: Sunbird etc. X - Compact: Nova etc. In 1970, integrated AM and AM/FM~Stereo/8 tracks became available which added a third letter - T or "AMT" or "FMT" In 1970 there where a lot of AM - 8 track combos sold, FM stations were still a rarity in parts of the country. Finally there may be a digit (1, 2) on the end which indicates a running change or revision number. About the ultimate was reached in the late 1970s with the model xxBFTC1 - An AM/FM~Stereo/8 track/CB unit in three pieces - the radio unit which went in the normal dash position, a CB unit which contained the transceiver electronics, and a control head/microphone. About as much as was ever put into a Delco radio.